Artificial intelligence: is it another buzzword, or can the technology offer value to the financial sector? According to experts, the area will transform all banking functions. Artificial intelligence (AI) and machine learning have been around for decades. But it is only now that technological advancements are enabling them to be used on a larger scale. As the technology works by analysing vast amounts of data to make decisions, these cognitive systems learn over time and their abilities are constantly improving. 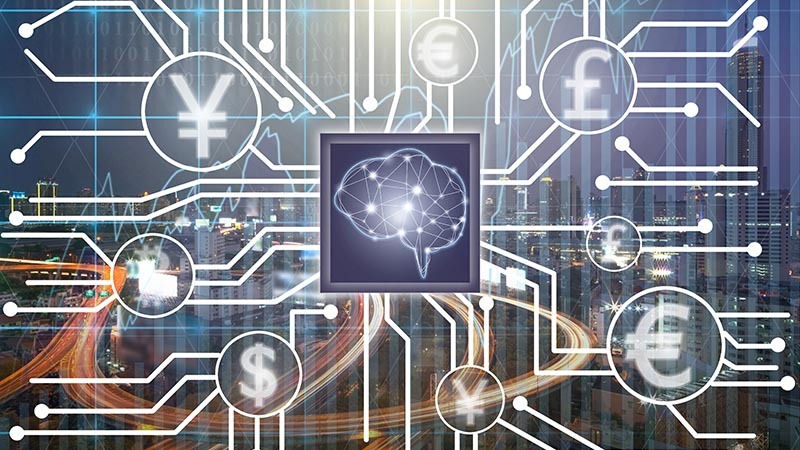 In the financial sector, AI has the potential to be a benefit in many areas including to boost customer service, improve customer options and drive competitive advantage. So it’s worth asking yourself where AI and machine learning could be most valuable within your business. How individual financial institutions implement AI will be down to the particular needs and wants of the company and its clients. As there is no one size fits all answer to AI, every company needs to assess the areas where it can have the biggest impact. And although AI may be cutting edge now and provide the potential for competitive advantage for those that have it over those who don’t, it won’t be long before it is commonplace and ubiquitous. Therefore time is of the essence if your business is to make the most of the tools available. One AI application already making an impact is the so-called ‘virtual agent’. Banks including RBS are using these intelligent digital assistants – which are able to understand tone of voice and respond to customers – to boost customer service via phones and online chat. They grow more intelligent as they learn, increasing business efficiency by freeing up human agents to take on more complex tasks. Machine learning can also help banks improve the way new services are offered to customers by predicting preferences and offering customers the right products, at the right time. As part of this, the technology can analyse the effects of previous marketing campaigns, combining this with other information (such as web and mobile app use) to predict the likelihood of an offer having the desired impact. In addition to these more obvious areas where AI can deliver advantages, there will undoubtedly be other as yet undiscovered areas where it will help. That is the beauty of the technology in that it can learn to spot patterns and trends that have previously gone unnoticed. This may sound a little vague but it is all about trusting the technology. According to a survey conducted by Narrative Science and National Business Research Institute, 10% of banks are using this technique to dig through data to try and find ways to get a head start on their competitors. Getting the right tools though isn’t that easy though. Investment can be expensive and time consuming, plus you don’t always know exactly what you will get at the end of the process. That’s why finding a suitable third-party to partner with is often the best available option. Tried and tested with experience in the marketplace, tools from the right partner enable companies to offer new and innovative services often quicker than from internal development and at lower risk. On top of all the potential technical and solutions advancements that AI will undoubtedly bring, what banks will still have to make sure of is the way that they approach dealings with human customers. For some issues only human interaction is sufficient and banks need to be mindful that these aren’t neglected in the race to adopt AI in as many areas as possible. Wherever and however AI is used in the banking industry, the best banks will be the ones that manage to join up the artificial with the real to create the best service for their customers.